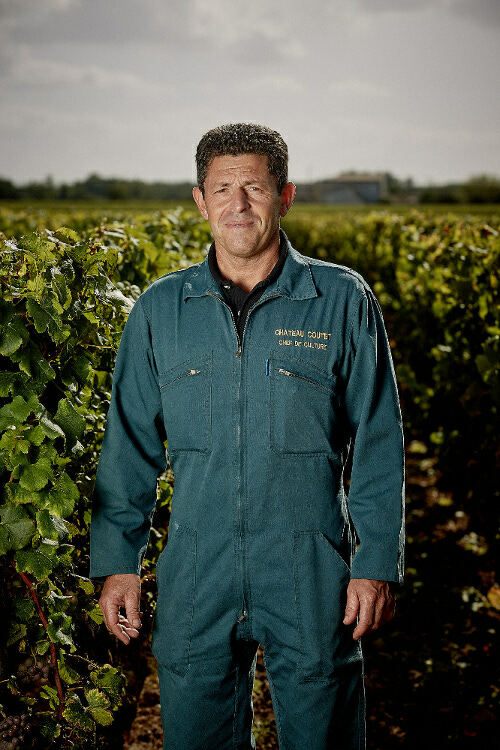 Luc has been working at Château Coutet since 2002. A native of the Bordeaux region, with parents and grandparents who owned a farm, he has been immersed in the agricultural and wine world since his youngest age. As a great lover of Château Coutet’s wines, Luc reserves the first Grand Cru Classé for special occasions. However, the estate’s Second Wine , La Chartreuse de Coutet is often on his table. The 2009 vintage is his favorite of the moment. When it comes to food, he likes to pair Barsac with pan-fried foie gras or Fourme d’Ambert (blue cheese). Many great moments have staked Luc’s career at Château Coutet. That of an extraordinary autumn in 2010 when the harvest was so beautiful and generous is among his best.